We know how much of a commitment it is to sign up for a Revolution Field Hockey Camp in the summer, so making sure the experience of registering and getting all the necessary information beforehand is of utmost importance. Being sensitive to this part of the process is why we’ve been so successful since opening our doors all the way back in 2002. More than 10,000 players have joined the Revolution during this time and we’re looking forward to the next 10,000! 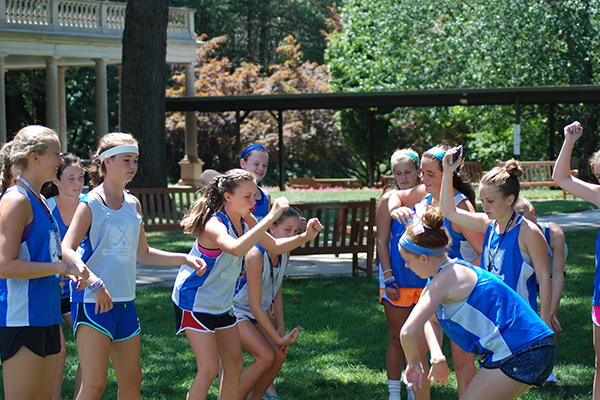 There are a number of different factors that must be considered when signing up for a summer field hockey camp. Finding the best camp available is an obvious goal, but it also has to be in the right price range and in a location that’s close enough to home. That’s not it, though! Before officially registering and submitting a deposit, it’s also worthwhile to see other details, like which coaches could be in attendance, what you should be packing depending on the camp type you’re choosing, and what a daily schedule will look like. While all the options and locations for our Revolution Field Hockey Camps are right here, you can also get a solid general rundown of what to expect right here. We understand that there are going to be questions you’d like to have answered, and we want to make sure they’re all answered! If there is any kind of information you’re in search of – and more specifically, a camp brochure – all you need to do is fill out this form and we’ll send one your way. The “More Info” button is important because it goes over a lot of the important details. Some of these include the price of the different camp offerings (overnight, extended day, etc. ), an overview of camp and some of the coaches that will be there. Other camp details included are check in and check out times, how campers are split up by age and ability, and what a typical schedule will look like. There is also a section for reviews from past customers so you can get a firsthand look at what the experience is like. If there are still answers you’re searching for, head on over to our Frequently Asked Questions page, which covers a number of different categories. Also, don’t be shy! If you’d like to talk to someone, you can reach out to us via email (support@ fhcamps.com) or phone (1-800-944-7112). We’re always happy to help and looking forward to making your experience before camp just as enjoyable as camp itself!